Positive: Good hardware; nice design; decent connectivity; light weight; high mobility. Negative: No backlit keys. Positive: Compact size; good price; decent hardware; nice display; metal case. 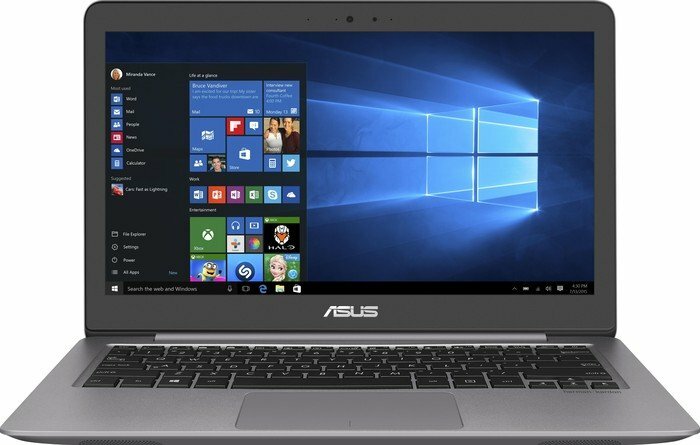 Series: Developed by Asus, the 13.3” Zenbook UX310UA series is considered to be the premium and gorgeous ultrabooks which could easily satisfy most technical fans. With the stunning aluminum-body design, this notebook could be appealing to everyone at first glance undoubtedly. 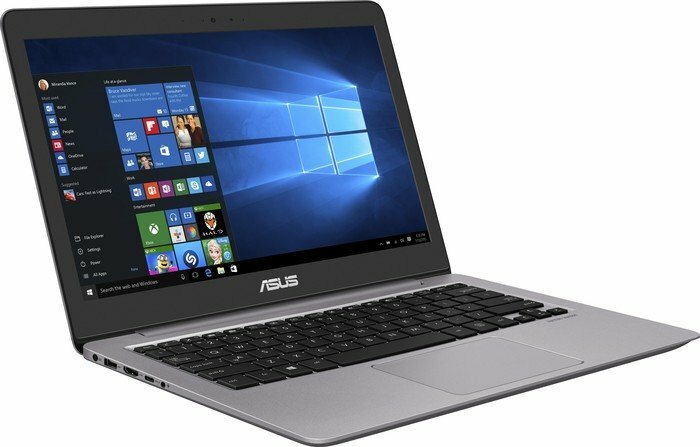 Being a mid-range laptop with the price around 1000 Euros, however, the Asus Zenbook UX310UA still has high-end features such as: Intel Skylake processor, solid-state storage, a USB Type-C port and a backlit keyboard. Following a comment on page TrustedReviews, “With the MacBook Air seemingly abandoned by Apple, the Windows Ultrabook market is starting to look more processing than ever”. Page TrustedReviews remarked that the UX310UA’s all-aluminum coating looks as premium as it feels. It weighs 1.45 kg, which is 550 g lighter than the Apple MacBook Pro 13 - and is only 18 mm thick. Hence, this is the ideal travel companion. Also on page TopNewReview, it is said that a notebook that’s lean, mean and devilishly good looking. Or as another positive comment on page Stuff.tv, “It certainly delivers on looks - the UX310UA is a bit of a stunner, whether you go for the silver color on show here or the fetching bronze alternative. It looks like a more expensive laptop”. Yet, “If I have one complaint, it’s that the chunky bezels detract from the high-end aesthetic of the laptop”, said TrustedReviews. 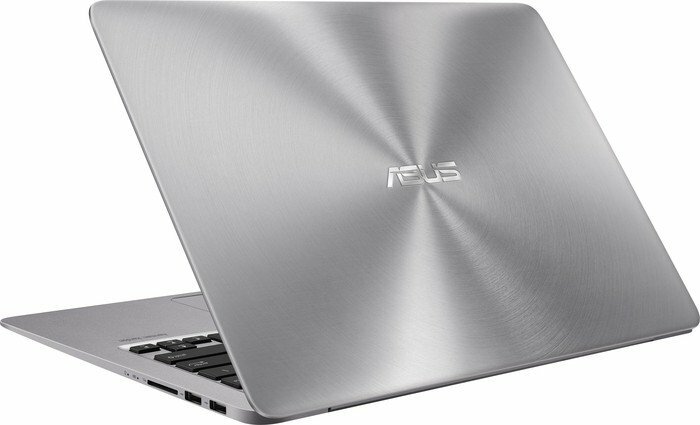 Besides, with a particular evaluation, page PCAdvisor said “The Asus flavour comes from the brushed concentric circles design on the lid, used across Zenbooks. There are plain silver and light gold shades to choose between. Both look great”. 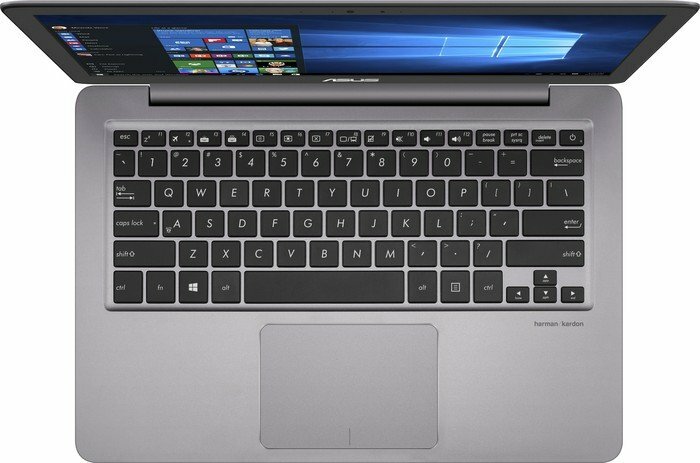 Moreover, commented from TrustedReviews about the connectivity, the Zenbook UX310UA has three USB ports, but only one of them is the faster USB 3.0 type and it’s odd to see two USB 2.0 ports on a 2016 laptop. “Unlike the older Zenbooks, this one has a USB-C 3.1 port. USB-C is the new breed of USB, using a reversible plug rather than one that has to be plugged-in the right way”, PCAdvisor remarked. In addition, this page also said “If you use an external SSD drive, you’ll have to make sure you use the USB 3.0 port on the left side. We can live with the compromise given the other high-end bits of hardware on offer, though”. As a review on TrustedReviews, the full-sized chiclet-style keyboard on the UX310UA is above average. It was comfortable typing on the keyboard within seconds of using it for the first time. The reviewer of PCAdvisor also thought that it also has a keyboard backlight, one of the main features missing from the earlier UX-series Zenbooks. The keyboard is probably on the wrong side of spongy, but you still get enough travel in each key to type comfortably without filling your files with typos. In addition, the big, glass trackpad is so great that the reviewer of TrustedReviews found, “it slightly less responsive than I’d like out of the box, but increasing the cursor sensitivity by a notch in Windows easily resolved the issue“. Also, “The pad is still large, comfortable and has a button click that doesn’t require too much pressure and isn’t loud enough to annoy anyone nearby trying to watch TV”, said PCAdvisor. Yet, as commented on page Stuff.tv, “You’ve got to crank up the sensitivity a bit to make it feel properly responsive, but with a bit of tweaking it’s perfectly usable - even the multi-touch gestures didn’t have us tearing our hair out after a few tries”. 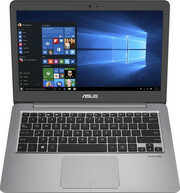 The manufacturer, Asus, brought this series with two options for users: the first one is a Full HD display with 1920 x 1080 and the other one is the 3200 x 1800 pixel display, but as the reviewer sees the QHD+panel version on the 13.3-inch laptop is not necessary. Evaluated from TrustedReviews, “What do I like is the IPS panel, which is bright and offers wide viewing angles. Whether you’re watching a Netflix movie, Youtube video or just browsing the web, the display is nice to look at. Asus quoted 500:1 contrast ratio is lower than average, and means blacks are less inky and whites are tad duller than you might expect given the type of panel used. Though the screen is adequate”. For its price, as a remark of PCAdvisor, the sharpness and colour saturation is fantastic. Moreover, one of the UX310UA’s plus points is the customized program for the user to adjust screen to adapt with anyone as a valuable comment from PCAdvisor: “The Asus Splendid application also let you tweak the display characters, increasing colour pop further or applying a blue light filter to avoid eyestrain if you are going to read”. Also, the PCAdvisor considered that a matte finish and very high max display brightness of 377 cd/m² mean it’ll sail through being outside on a bright and sunny day. On the other hand, Stuff.tv admitted that its contrast could be a bitter, so dark images aren’t quite inky black and lighter photos look a little on the dull side. Similarly, the PCAdvisor supposed that the UX310UA is hard to beat for using outside or in a well-lit office, but its raised blacks mean it’s not so great as a late-night movie machine. The performance of the UX310UA series has been manufactured with various versions so it will depend on the version you choose. From the most common level of Intel Core i3-6100U with 4 GB of RAM for office work, web surfing or video streaming to the high-end level i7-6500U (dual core at 2.5 – 3.1 GHz with Hyper-Threading) with 8 GB of RAM for more demanding photo, video editing or even light gaming, Asus aimed different users with many usage purposes. The SSD of the UX310UA also varies with distinct options depending on the user’s choice from the entry-level of 128 GB. In the AS SSD benchmark from page TrustedReviews, the 256 GB M.2 scored a read speed of 491 MB/s and a write speed of 312 MB/s. This write speed is pretty quicker than the SSD in the Lenovo IdeaPad 710S, yet, its read speed is considerably slower than the Lenovo’s 1,290 MB/s. “Editing a 1080p video in Adobe Premiere Pro and touching up photos in Adobe Lightroom was smooth and showed no sign of slowdown of shutter”, TrustedReviews evaluated. However, it is also not well-suited to any sort of demanding gaming with the Intel HD 520 Graphics chip. It is powerful enough to run older games such as Left for Dead 2 and Team Fortress 2. Modern games were barely playable even at very low settings. 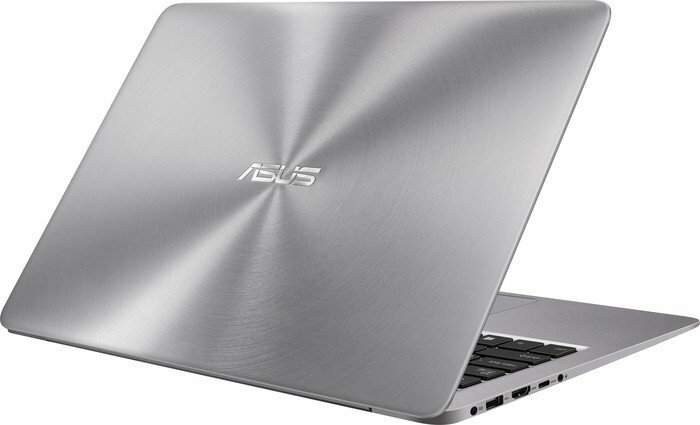 Commented from PCAdvisor, the Asus Zenbook UX310UA offers solid everyday performance but it is not particularly performance-led machine. Also from that page, the laptop itself has fans rather than relying entirely on passive cooling. It’s noticeable in quiet room, but the volume doesn’t ramp up too high when you start challenging the CPU. As a remark from Stuff.tv, “You’d need a crazy amount of Chrome tabs open to slow it down, but do anything fancy with 4K video and it’ll feel the heat”. From another perspective, “Day-to-day duties, office programs, video and photo editing and general all-purpose user are easily handled by the good combination of memory and processor”, said TopNewReview. As for benchmarking, it measured a score of 2611 on PC Mark 8 from TopNewReview, which put it slightly behind a 2013-created gaming PC. That’s better than the majority of office-grade machines around today. he battery life is decidedly average on the UX310UA. As an evaluation of TrustedReviews, after watching a two-hour Netflix movie with power-saving mode enabled and brightness at 50 %, the UX310UA was left with just 55 % battery. So you’d be lucky to get more than four hours of video playback on the QHD and resolution of 3200 x 1800. But the Full HD display version should expect the battery life to be better. And for the PCAdvisor, playing back a 720p video on loop at 120 cd/m² brightness, it lasted 8 hours 10 minutes. That provides enough scope to use the UX310UA for a full day’s light work away from the adapter. Yet, for the Stuff.tv, by ignoring gaming completely and sticking to basic working or web browsing, you’ll get about six hours of life. Throwing in some full HD Netflix streaming and you’ll struggle to reach four. Overall, although it is not perfect, the UX310UA is a great-value choice for those who are looking for a portable and stylish laptop (remarked from TrustedReviews). But for the PCAdvisor, the laptop is an excellent portable all-rounder. This is close to a perfect mid-price portable laptop as we’ve seen this year. And lastly, for the TopNewReview’s comment, the Asus Zenbook UX310UA is a great lightweight notebook. The price isn’t too high as you’d normally expect for a notebook with these features, either. It might be a basic clamshell. 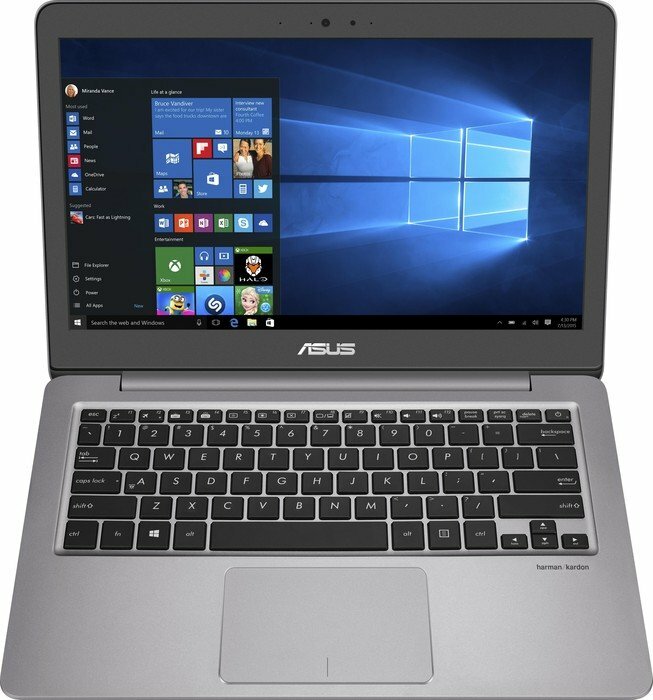 In summary, though UX310UA is considered a mid-range laptop with a reasonable price, Asus has created this series with its own advantages. For instance, it has not only the thin and light design which could be suitable for most users but also good performance for the customer’s cash with different versions depending on the user’s demands. 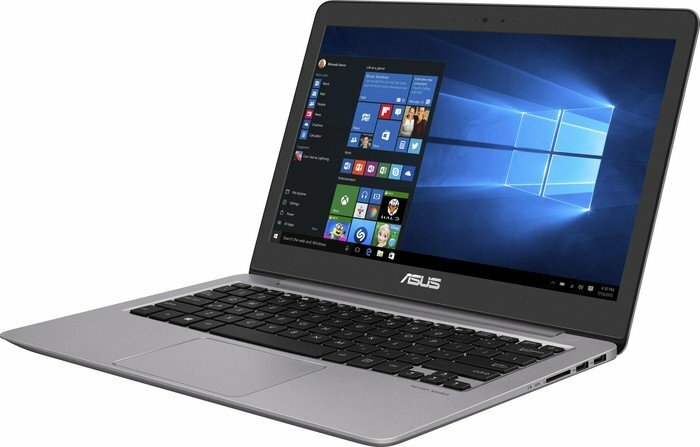 With the reputation of the design, Asus has made the UX310UA series look great. Beside that, the hard disk combination is pretty good generally as well as its screen with the sharpness and quality display has exceptional reviews. Notwithstanding, this notebook has disadvantages such as: the mediocre battery life, some minor build quibbles like no Intel Iris graphics, less attractive design and heavier build than rivals. Yet, from my viewpoint, I suppose we cannot expect much more because the Zenbook UX310UA is greatly attractive in the good performance integrated inside plus the premium design with a very low starting price.